Nearly 1/3 of mobile searches are related to location. Location-related searches have been growing 50% faster than mobile searches overall in the past year. Over a billion people now use Google Maps. 84% of consumers conduct local searches. 3 out of 4 people who search for something nearby using their smartphone end up visiting a store within a day, and 28% of those searches result in a purchase. As these stats relay, local search is growing and it’s a promising market for businesses to focus on. If your business is not already registered at Google My Business there’s no time like the present to jump on board! Signing up is free, and as a local business in a mobile world, it’s one of the most crucial ways to get your dealership noticed by buyers in the area on both Google Maps and Google’s website. This feature was previously only available to public figures, as a way for them to give status updates to their followers. Now, through Google search and Maps, businesses can share their latest happenings or promotions with searchers. What’s more, businesses can link their posts to their website and even specific landing pages dedicated to such promotions or events. This update clearly indicates that Google is prioritizing businesses relationship with their consumers. Choose one of the available options to connect with your customers directly from your Google listing: create a one click path to schedule a rental or service, sign up for a newsletter, learn more about latest offers, or even buy a specific product from your website. Note: These Google Posts seem to expire within seven days after posting them. 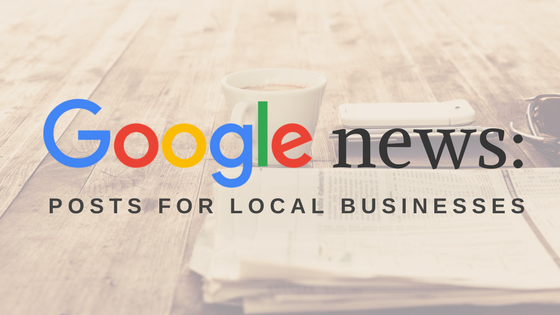 For your next promotion or new arrival, consider rolling out the news through Google Posts! To get started creating a post for your business, head over here.